Jackson Laboratory, located on a 43 acres campus on Mount Desert Island, is a biomedical research facility whose mission is to discover precise genomic solutions for disease. 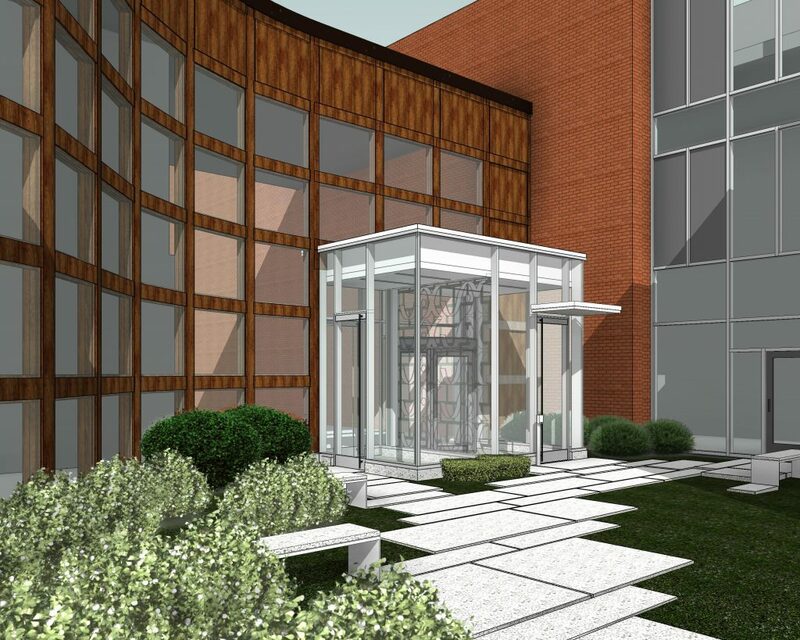 Having controlled access to the labs emerged as a priority, and SSA was hired to design a vestibule entrance that is both secure and welcoming. The transparent addition separates entry and exit, allowing one person to enter the building at a time.